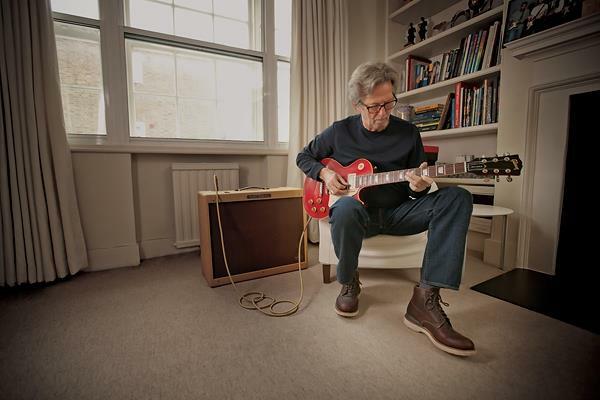 Eric Clapton has revealed that he is losing his hearing to tinnitus, the ailment that causes those affected to detect sound, often as ringing in the ears, when none is present. “I am still going to work. I’m doing a few gigs. I am going to do a show at Hyde Park [British Summer Time Festival] in July,” the guitar icon tells BBC Radio 2 host Steve Wright in a new interview. “The only thing I’m concerned with now is being in my seventies and being able to be proficient. I mean, I’m going deaf, I’ve got tinnitus, my hands just about work. “I’ve had quite a lot of pain over the last year,” he revealed at the time. “It started with lower back pain and turned into what they call peripheral neuropathy, which is where you feel like you have electric shocks going down your leg. Clapton was forced to postpone a pair of concerts in Los Angeles last March when he came down with a case of bronchitis; he was spotted in a wheelchair at the city’s airport leaving town with the assistance of one his daughters.